Click here to find out more about delivery arrangements. 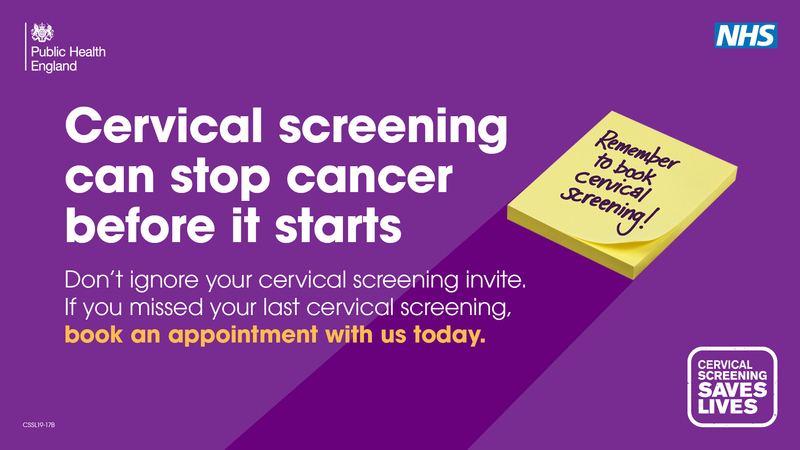 Click here to order resources for the new Cervical Screening campaign. We have made some changes to our delivery service. We can continue to deliver a free service to any of the designated locations, or upon placing your order you can nominate your nearest library as a collection point if your surgery or pharmacy is not on the courier list. Note: You should only select a delivery option to a surgery or health centre if you are based there. If you are a Pharmacy that is on the same premises as a surgery, then you can choose this location as your designated delivery option (when placing an order). If you opt for a library collection, please allow 3 working days before you pick up your order. An email will be sent to confirm your order has been despatched. If neither the free courier delivery option nor the collection from library option fits in with your customer requirements, please email us at hils@norfolk.gov.uk and we would be happy to discuss possible alternative arrangements to see if we can be of any further help to your service. The Health Information Leaflet Service (HILS) provides free, good quality health information leaflets and posters for professionals working in voluntary and statutory agencies within Norfolk. The service also distributes Healthy Start vitamins to Norfolk pharmacies. The Health Information Leaflet Service is now based at County Hall, Norwich. Our new address is : - HILS, Norfolk County Council, Customer Services Fulfilment Team, County Hall, Martineau Lane, Norwich, Norfolk, NR1 2DH. Our new telephone number is 01603 638381. We look forward to continuing to work with you all in the future. Deliveries are free to designated points around Norfolk >> Click here for more information. For more information contact us on 01603 638381 or email HILS@norfolk.gov.uk. Our opening hours are Tuesday to Friday, 8am until 2pm. Norfolk Living Well 2019© All Rights Reserved.